But will the EU take a dim view of things? Breaking Fad The future of television’s so bright you’ll have to wear shades. At least, that might be the case if plans to evolve television to a High Dynamic Range (HDR) future gather traction. HDR has been exciting the creative community for some time now. Many argue that it’s actually a more significant upgrade than Ultra HD resolution, not least because any improvement in brightness and contrast is easier to appreciate than raw detail. But the future of HDR is far from clear cut, and it transpires that some unexpected obstacles may yet dull its brilliance. 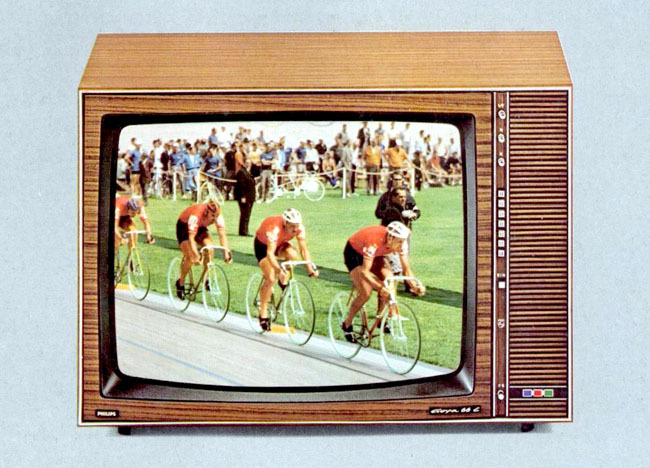 In case you’ve not noticed, today’s TV picture quality revolution is a work in progress. Currently rolling out is UHD One Phase One, which combines 3840 x 2160 resolution images with frame rates of no more than 60fps and the long-established BT.709 colour standard (arguably more a low common denominator colour restraint). 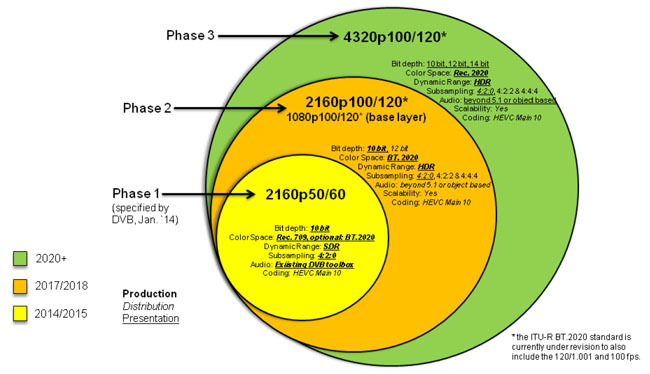 However, UHD-1 Phase 2 is where things start to get really interesting. Potentially a commercial reality by around 2018, this second advance will see frame rate support rise to 100-120fps, a subset of the more advanced BT.2020 colour standard introduced and, crucially, HDR introduced. For a sneaky look at tomorrow’s next big TV fad, I was invited over to TP Vision’s R&D facility in Ghent, Belgium. While it may not be a household name, TP Vision is a screen Goliath with the rights to produce Philips-branded TVs for great swathes of the globe, including Europe, Russia, the Middle East and Argentina. TP Vision has R&D sites in Bangalore, Taipei, Xiamen and Ghent, and runs manufacturing plants in China, Russia, Argentina, Brazil and Poland. Director of Product Strategy and Planning for the brand is Danny Tack, a veteran TV visionary who moved to TP Vision when Philips sold its screen interest. HDR is very much on Tack’s roadmap, and his team is taking a leading position in technology development. Deep within the company’s research labs are screens tuned for various levels of brightness. 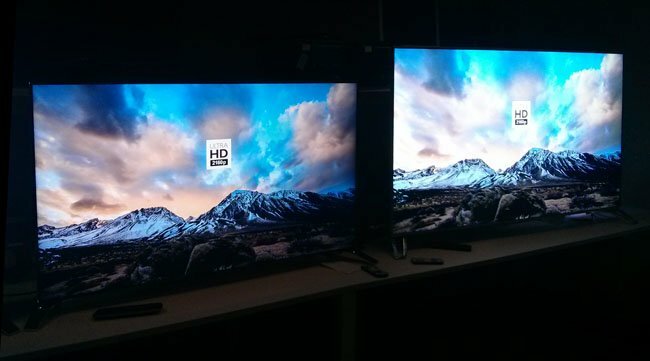 “At the moment, no TV displays or sources are capable of showing HDR,” explains Tack. “That’s because they’re made and post processed for a display standard of 100 Nits (aka candelas per square metre), a standard that originates from the time of CRTs. Today’s LCD displays already go far brighter, up to 450/500 Nits maximum.” Content is long overdue an upgrade, he says. Both Netflix and Vudu have been investigating HDR. In the TP Vision PQ lab, prototype screens offering different brightness levels run demo content comprising native HDR still images and standard dynamic range video sources. One challenge going forward, says Tack, isn’t just about developing native HDR content and panels, it’s about mapping standard dynamic range material to HDR picture displays. “We want to give viewers a system which is useful for all their content, not just HDR encoded content,” I’m told.